A short demo in which you are running errands for your Gran. Will it be an ordinary Sunday where you wrap the night up with old movies and dinner? Or will the mysterious lights in the woods lure you away from your mundane life? Would that really be so bad? Or would it be a fate worse than death? 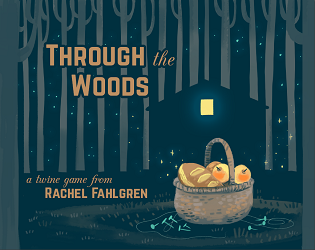 A twine game made for the 2017 Summer Novel Festival Game Jam and written during the 2017 Camp NaNoWriMo.